Estimates reveal that over 300 million people around the world suffer from asthma. which contributes to around 250,000 deaths every year. In the US alone, one in ten children and one in twelve adults live with the painful condition. On an average, there are about 3,168 asthma-related deaths per year costing up to 29 billion dollars every year. The rate of this breathing disorder has been steeply rising over the last several decades. According to new estimates, the rate of those developing asthma is predicted to grow by more than 100 million by 2025. The good news is that by making certain changes in your lifestyle, you can reduce the likelihood of your children developing the condition. A new study published in the Annals of the American Thoracic Society has linked mid-childhood asthma with high consumption of sugar-sweetened beverages during pregnancy and early childhood. During the study, a team of scientists examined over 1,068 mother-child pairs through a food-frequency questionnaire. It took into account how frequently both mother and child drank sugar-sweetened and fructose-sweetened beverages. The link between the intake of sugar and fructose drinks by maternal and child was assessed with the rate the children had developed asthma in mid-childhood. In comparing the quarter that drank the least sugar with the quarter that drank the most, the researchers found that the risk of mid-childhood asthma increased with greater high fructose and sugar-sweetened beverage intake during pregnancy. Further, the research also suggests that high early childhood fructose consumption increased the risk of developing asthma. Asthma is a chronic obstructive pulmonary disease which leads to difficulty breathing due to the narrowing of the airways leading to the lungs. People with the condition can develop swollen or inflamed airways which include the nose, nasal passages, mouth, and larynx. As the airways become narrower, there is less passage of air to and from the lungs leading to breathing problems. Chest tightness, wheezing, and coughing is some of the symptoms associated with narrowing airways. Inflamed airways are highly sensitive to irritants, which increases the dangers of allergic reactions. During an asthma attack, the symptoms occur suddenly in response to stimuli that irritates the air passageways and the immune system. The various signs and symptoms of the condition vary in terms of frequency and severity. While some people might have attacks frequently with severe symptoms, others might have attacks very rarely and hardly experience any symptoms at all. Attacks can be occasional and brief. This is one of the leading reasons why many people remain undiagnosed, assuming the symptoms to be only temporary. In other cases, people might often wheeze and cough. Any stress on the immune system can trigger severe attacks. The symptoms are often experienced in the early hours of the morning or during the night. The attacks can be mild, scary, and sometimes very serious as well. The long thin tubes known as bronchi in the lungs are most affected by respiratory issues. Breathing problems can make you feel choked and exert stress on the whole body leaving you fatigued. Fatigue can be common in people with breathing problems. However, frequent fatigue along with symptoms such as brain fog, insomnia, difficulty in waking up, difficulty concentrating, anxiety, low energy, or stubborn weight gain could indicate you have Adrenal Fatigue Treatment. The adrenal glands get overburdened in this condition leading to drop in certain hormone levels. This can tremendously impact many systems of the body and trigger symptoms including breathlessness. If this is the case for you, healing your adrenals can help solve the problem. The adrenals are linked to major organs of your body: the liver, heart, digestive system, and kidneys. These glands produce regulating hormones that are essential for optimal body functioning. However, when the adrenal glands become dysfunctional, there is an imbalance in the level of regulating hormones, affecting the entire body and producing a range of symptoms including breathlessness. Fatigued adrenals cause an imbalance in hormone levels that can have a tremendous impact on health and how one feels. There are various factors that can trigger breathing problems. Excess mucus buildup in the walls of the air passage can obstruct normal airflow. Swelling or inflammation can also reduce air passage to the lungs. Boys are more likely to develop breathlessness than girls. However, in adults, women are more susceptible to the condition than men. Though respiratory problems are not always genetically acquired, studies suggest that the problem runs through genes. Parents with asthma need to take extra precautions. It is a good idea to have your children screened for any symptoms or allergies to better prevent attacks. Those of Puerto Rican and African-American heritage are reported to be more susceptible to breathing issues than others. Antibiotics can negatively affect your immune system, causing an increase in the risk of food allergies and symptoms of breathing problems. This could be due to damage to your microbiome from antibiotics. Research also shows vaccines such as the MMR can interfere with the normal functioning of the lymphocytes, special blood cells that protect the body from various infections. These lymphocytes can release certain antibodies in response to the vaccine that increases the likelihood of allergic reactions triggering asthma in susceptible individuals. Smoking is one of the major contributing factors to breathing problems and AFS. Most of the deaths from breathing issues are due to smoking. Exposure to second-hand smoke can also raise the risk of developing various respiratory problems including difficulty breathing. Conditions such as obesity, low immunity, allergies, autoimmune disorders, certain medical conditions, and infections may affect the lung tissue causing inflammation and narrowing of the airways. Breathlessness is more prevalent in obese people than those with a healthy weight. Research has linked stress with an increased risk of breathlessness. One of the reasons might be the tendency to smoke to deal with stress, which has well-known risks. Research also suggests that stress can cause modifications in the immune system which can cause inflamed airways and breathing issues. Inhalers and medications can help curb an asthma attack, preventing complications or emergencies. 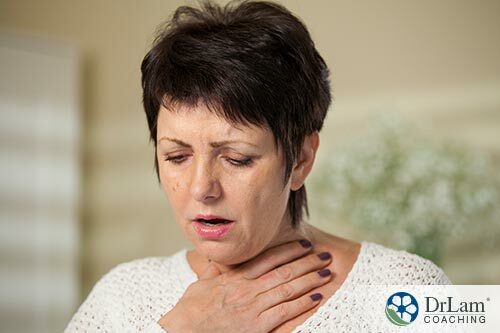 These drugs are mostly referred to as “rescue drugs,” as they provide immediate relief from breathlessness and help reestablish normal breathing patterns. However, in the long-term, conventional methods do not address the underlying cause of the respiratory problems and don’t reduce the frequency of attacks. Further, long-term use of medications can directly impact immune system function. This can further give rise to various side effects including mood changes, fatigue, dry throat, nausea, wheezing, and sneezing. In those with adrenal fatigue, such symptoms can trigger stress and worsen the condition. Resorting to natural remedies for breathlessness symptoms can be helpful to alleviate the condition without any adverse side effects. Below are some natural remedies to help reduce the frequency of asthma problems and improve your overall health. Obesity has been linked to several diseases including breathing issues. In people with respiratory problems, exercise can be a trigger. Gentle exercise you can do indoors is often a good place to start. Staying active and maintaining a healthy weight can enhance immune function, prevent obesity, and reduce inflammation. Managing stress is one most of the effective ways of dealing with several health issues including asthma. Your body has a natural ability to deal with stress. The NeuroEndoMetabolic (NEM) Stress Response system is your body’s natural stress-fighting mechanism. It is an intricate network of various organs and circuits that function in close connection for dealing with stress. The adrenal glands, a pair of walnut-shaped glands on the top of your kidneys are also a part of this system. During stress, the NEM stress response signals your adrenal glands to secrete the anti-stress hormone cortisol. However, repeated stress can overburden your adrenals, decreasing your cortisol secretion and stress fighting ability. When your stress level exceeds your body’s natural stress-fighting ability, it can lead to adrenal fatigue. Chemical fumes, dust mites, and pollution can trigger asthma symptoms. Cleaning your home with natural products, using an indoor hypoallergenic air filter, and diffusing with therapeutic essential oils can prove to be helpful. Spending time outdoors in an unpolluted environment can help strengthen your immune system against seasonal allergies as well. Smoking is a major contributing factor to several diseases including respiratory problems. Smoking cigarettes is enough to worsen asthma. Consider staying away from all cigarettes, second-hand smoke, fumes, and construction dust. 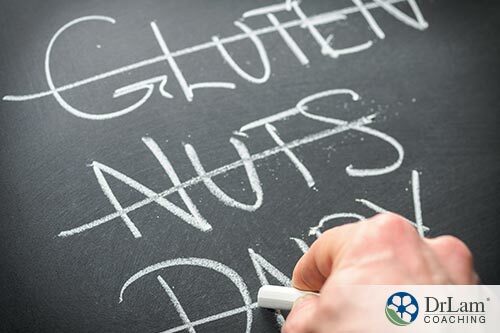 Many people with asthma also have food allergies. Eliminating inflammatory foods from the diet such as packaged foods, conventional dairy, gluten, and sugar can help reduce symptoms. While not always possible to avoid, some air conditions make asthma attacks more likely. Consider avoiding humidity, drastic temperature changes, pollution, and extremely low temperatures as they can trigger attacks. 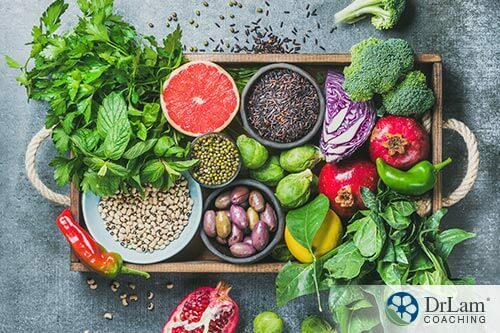 Brightly colored foods are rich in antioxidants and vitamins that reduce respiratory issues by promoting healthy mucous membranes in the airways leading to your lungs. Many people with asthma are vitamin A deficient. Studies show that increased intake of vitamin A rich foods such as orange vegetables, tomatoes, leafy greens, and berries could reduce breathing issues. The antimicrobial properties of onion, garlic, and mustard seeds help fight infections, strengthen immunity, and reduce inflammation. Magnesium rich foods such as nuts, beans, seeds, and greens as well as antioxidant-rich cruciferous vegetables have been linked to promoting healthy sinuses. Cultured dairy and raw milk are rich in probiotics that help strengthen the immune system and prevent allergic reactions.